What is the Pastry Chef Job Description? 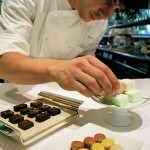 Pastry chefs are almost immediately associated with beautifully crafted desserts and baked goods. They are highly regarded for their creativity and culinary skills. But what do pastry chefs really do? What is the pastry chef job description? Are there essential points that need to be considered if you intend to become a pastry chef? What Constitutes a Pastry Chef Job Description? So what do pastry chefs do? What are the things that make pastry chefs different from other chefs? Basically, pastry chefs are involved in the preparation of baked goods, sweets, and desserts. As mentioned earlier, they are associated with sugar sculptures, chocolate fountains, and wedding cakes. 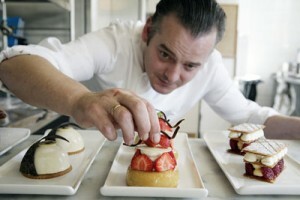 In many restaurants, pastry chefs are different from the other chefs. They may even have their own section in the kitchen. Pastry chefs are primarily focused on the production and presentation of pastries and baked goods. However, they also do other tasks. These other tasks include the overseeing of kitchen staff, the ordering of supplies, and the organization of the kitchen. Pastry chefs do not spend all their time in baking and the visually creative decorating and plating of pastries and desserts. Just like other chefs, they also have their responsibilities in making the kitchen operate smoothly. Needless saying, pastry chefs are expected to possess culinary ability and creativity. They have to be able to masterfully bake. They should have expert knowledge of ingredients and baking methods. They can’t just be all about the baking, though. They also need to know how to distinguish ingredients that yield the best flavor. It is also important to have good presentation or aesthetic skills. The taste of the pastries prepared is very important. However, it cannot be complete without proper presentation. That’s why pastry chefs also need to learn how to do attractive plating, the adding of decorations, and the coordination of the overall appearance of the pastries served. Pastry chefs should give attention to details. Small recipe changes or the substitution of ingredients can lead to significant effects. Pastry chefs need to be mindful of such possibilities. They should be able to notice or keep track of important details while doing their routines. Pastry chefs need to have a good sense of customer service. There are times when pastry chefs may be called by customers in a restaurant. They need to know how to properly converse or deal with customer complaints. The same goes with pastry chefs who run their own pastry shops. Good customer service is a must. It is imperative never to show any aggression or the tendency to argue with customers. Maintaining customer goodwill has to be a part of a pastry chef job description. The pastry chef job description may be expanded or reduced depending on the workplace. What remains as a standard is the need to prepare baked goods or pastries and to serve them in an appetizing appearance. It can be said that pastry chefs serve a non-essential role, serving the last course of a meal that may practically be skipped. However, complete dining just does not feel as complete without the pastries, without the creations of pastry chefs.